This policy deals only with personal information handled by the Assiniboia Chamber of Commerce. Personal information is information about an identifiable individual, excluding business contact information [Please note: this excludes chambers in the province of Québec where business contact information is included]. The following explains how the Assiniboia Chamber of Commerce handles personal information. The Assiniboia Chamber of Commerce reserves the right to change this policy and it may be updated periodically. These changes may affect our use of your personal information. Accordingly, please check for changes regularly. Any questions about the Assiniboia Chamber’s handling of personal information should be directed to the privacy officer. Please see below for more information about the process for referring questions about the Assiniboia Chamber’s handling of personal information. The Assiniboia Chamber will not use personal information for any other purpose than identified at or before the time of collection. The Assiniboia Chamber seeks consent for all personal information we collect, use and disclose through information provided to individuals prior to collection, or at the time of collection. The Assiniboia Chamber does not collect, use or disclose personal information of individuals except when individuals give consent and provide the information on a voluntary basis. There may be occasions where more specific personal information is necessary for us to proceed with a request for information or provide you with a product or service. In such cases, we will provide you with a description on the information we need. In all cases, the Assiniboia Chamber limits the amount and type of information collected to only the personal information that is required to provide the individual with the requested information, product, or service. We collect only information that is voluntarily provided by you and undertake that such information will be kept strictly confidential. We retain personal information only as long as is necessary to provide the individual with the requested product, service or information and delete or destroy this information after that time. In some cases, however, legal reporting and retention requirements necessitate that Assiniboia Chamber retain information for a specific amount of time. In general, the Assiniboia Chamber retains information for a period not longer than seven (7) years. Any personal information that the Assiniboia Chamber retains is kept in such a manner as to ensure its security and confidentiality at all times. The Assiniboia Chamber respects the privacy of our members, partners, potential website visitors and internet users and will protect that privacy as vigorously as possible. We store personal information in electronic and physical files that are secure. Our security measures include locks on filing cabinets, and using industry standard techniques such as firewalls, encryption, intrusion detection and restricted access to records and to equipment, including computers. Unfortunately, no data transmission over the Internet can be guaranteed to be 100% secure. As a result, while we strive to protect your personal information, we cannot ensure or warrant the security of any information you transmit to us or receive from us electronically. This is especially true for information you transmit to us via email. We have no way of protecting that information until it reaches us. Once we receive your transmission, we make our best efforts to ensure its security on our servers. The Assiniboia Chamber makes every effort to keep personal information as accurate, complete, current and relevant as necessary for the identified purposes. The Assiniboia Chamber does not routinely update personal information. At the written request of an individual, they may view or edit their personal information as collected by the Assiniboia Chamber. The Assiniboia Chamber will inform them of what personal information we have about the individual, what it is being used for and, in cases where it has been disclosed, to whom it has been disclosed. 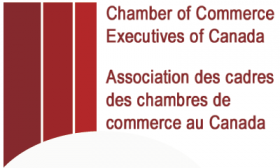 There may be exceptional circumstances as provided by the CSA Model Code under which the Assiniboia Chamber may not be able to give an individual access to the personal information about her or him held by the Assiniboia Chamber. In this case the Assiniboia Chamber will explain the reason for this lack of access, as provided by the CSA Model Code. To make a request, please send a letter or email addressed to our Privacy Officer at the address indicated above. In your request, please include the following information: name, contact details, membership number (where applicable), the nature of your request, including whether you wish to view and/or edit information or inquire regarding use and/or disclosure. The Assiniboia Chamber will reply to your request in no later than thirty days after receipt of the request, or if we are not able to respond within this time period, we will send you a notice of extension. If we are not able to disclose all the personal information we hold on you, we will give you a reason for our inability to do so; unless prohibited by law. Any questions or comments about the Assiniboia Chamber’s handling of personal information should be directed to our privacy officer.